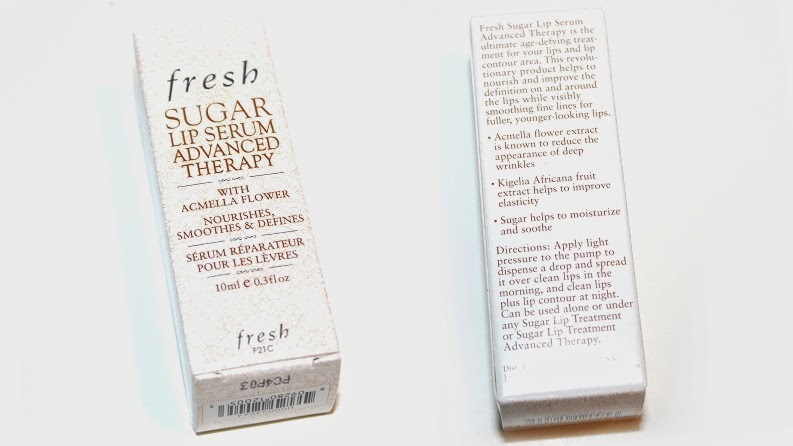 Fresh Sugar Lip Serum Advanced Therapy (0.3 oz) retails for $35 USD ($41 CAD) and is said to be "an ultimate age-defying treatment for your lips and lip contour area." 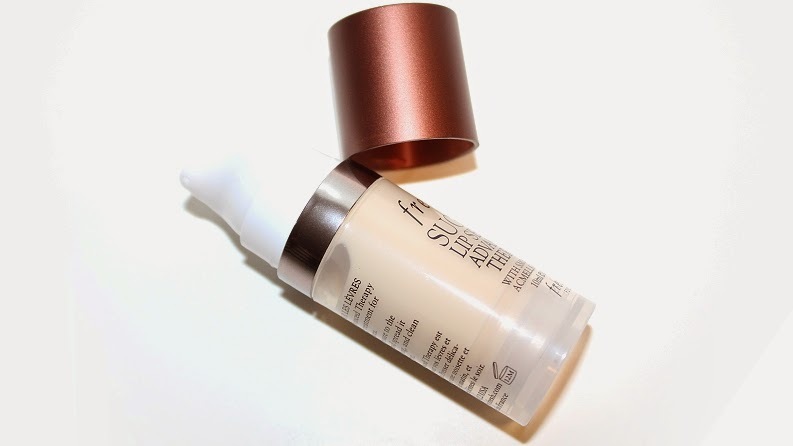 "Sugar Lip Serum Advanced Therapy helps to nourish and improve the definition on and around the lips while visibly smoothing fine lines for fuller, younger-looking lips. Composed of sugar derivative, spilanthes acmella flower, skin-firming amino acids, and adenosine, Sugar A3 Complex is the ultimate age-delay protection to help regenerate youthful lips. It helps to target the loss of skin firmness and the appearance of deep wrinkles while protecting collagen and elastin." This product is aimed mostly at rejuvenating the look and feel of lips. Now I don't have deep lines, wrinkles around my lips or anything like that. After all, I am in my early twenties, but of course there is absolutely no harm in taking steps to try and prevent those things! I may not have those issues, but what I do have is severely chapped, dry lips. They flake, they peel and it doesn't help that a nervous habit of mine is chewing my lips – terrible, I know. 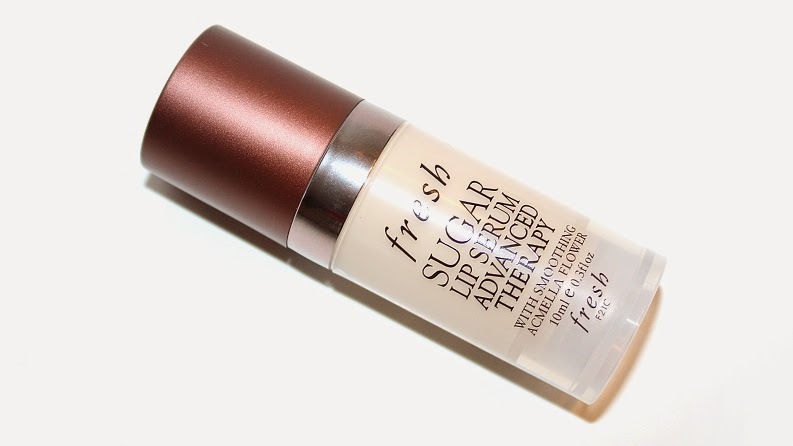 The Fresh Sugar Lip Treatments have always been a favorite of mine when it comes to lips balms so when I ran across a new product, it definitely grabbed my attention. This product is also advertised to nourish lips and if you know me at all, anything that promises to moisturize, condition and repair is an instant buy-and-try. The packaging is very simple and features a pump to disperse the product. It's very easy to get too much product so be careful. Usually quarter to half a pump is enough product to cover my lips and surrounding area. The scent is similar to most of their Sugar Lip products, just stronger and more citrus-like. I'm personally a big fan of Fresh signature scents so the smell/taste didn't bother me. The serum itself is thin, but not watery and yet still thick. The only way I can really describe the consistency properly is to imagine warm honey. The key with serums is to pair them under another moisturizing product for best results. For example, how you would apply a facial serum, wait 3-5 minutes for it to dry and then apply a regular moisturizer – same idea with lips, just add that extra step! A main ingredient in this serum is Acmella Extract, which a natural alternative to Botox, it reduces wrinkles by relaxing the skin. After the serum has had time to sink in, moisturize and repair your lips are left looking naturally plump. It's not as extreme or uncomfortable as using a lip plumping product, but it does leave your lips looking fuller without the awful tingle/burn! I'll start by exfoliating my lips using the Sugar Lip Polish followed by washing my lips off to remove any remaining oil, sugar or dead skin. Next, I'll generously apply this Sugar Lip Serum to my entire lip area, including the skin around my lip line. I'll usually let the serum do it's magic and absorb into my skin for a good 5-8 minutes or until it feels dry. 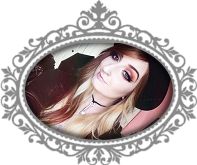 Depending on how much serum I used, as I said, it's very easy to disperse too much product! I'll quickly wash or wipe my lips off and apply one of the lovely Fresh Sugar Lip Treatments to finish off. Come morning my lips are soft, smooth, plump and ready for anything! This is usually when I take full advantage of flawless looking lips and apply the most flat, matte lipstick I can find in my stash, haha! Overall, this product works great to reduce wrinkles, fine lines and dryness. I can't speak for long-term, everyday use but for the days I have used it, I definitely noticed an improvement in the quality, texture and moisture of my lips! If you have any of the targeted issues, I'd recommend checking this product out. Disclaimer: All products featured were purchased by me for personal use. All opinions are my own.